The skies just got a little friendlier for Apple Music subscribers. Starting Friday, select American Airlines flights will offer free Apple Music streaming without needing to purchase an in-flight Wi-Fi plan. As of now, the offer is limited to domestic U.S. flights and planes equipped with Viasat satellite Wi-Fi. 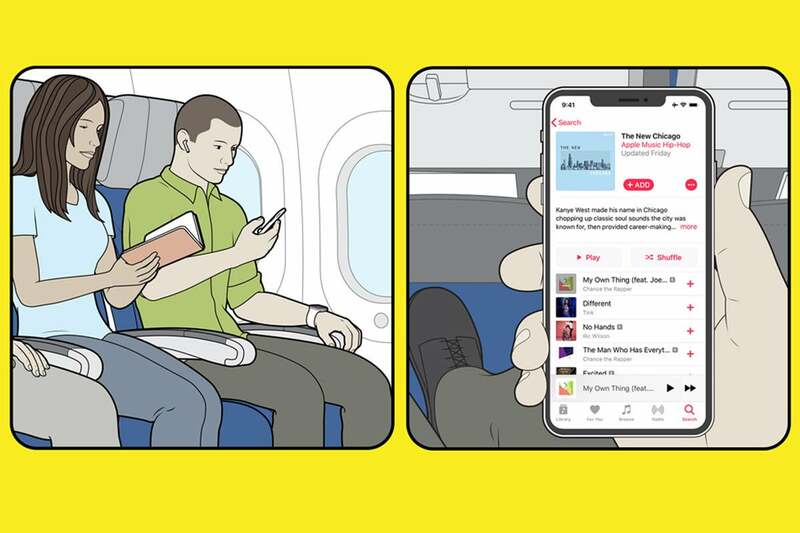 To take advantage of the offer, users will only need to connect to the plane’s Wi-Fi and log in with their Apple Music ID. If you want to do anything else that requires an Internet connection, however, you’ll need to purchase an in-flight plan. Apple announced during its quarterly earnings call Tuesday that it had crossed the 50 million subscriber mark at the end of 2018, an important milestone in its battle with Spotify. In November, Spotify reported it had nearly 90 million paid subscribers and 191 million monthly active users on its premium and free tiers. Apple Music does not allow for free listening. The Apple Music partnership allows free listening to songs, playlists, and Beats 1 radio, and will also include “unique city-themed playlists” for travelers. Non-subscribers can sign up for free on their flight and still enjoy free streaming. Why this matters: While it’s unlikely that this partnership will have a measurable effect on Apple Music’s growth, it’s another indication that Apple is betting big on services to pick up the iPhone’s slack. Sales of the handset dipped 15 percent in the first quarter of 2019, the largest drop since its 2007 launch, and Apple has repeatedly indicated that services will be the next big bet, with a major streaming video service coming this year.